The best part of Saturday mornings for many people is shopping at the local farmers market. Customers can explore year-round produce and farm fresh seasonal fruits and veggies. It’s during these farm market moments – meeting and talking with the very person that grows the food you’re buying – that a visitor is charmed and becomes a customer. 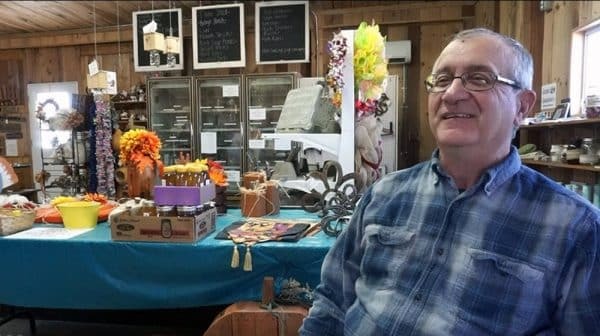 If you are looking for healthy, fresh food, grown locally, Pumpkins and More Farm Market is currently open on Saturdays from 10:00 am – 4:00 pm CT.
We heard from Bill Wirthwein, who is the friendly owner of Pumpkins and More, and asked a few questions about the produce he grows. What items are available in different seasons at Pumpkins and More Farm Market? Year round we have meats, such as steaks, ground beef, hamburger patties, roasts, pork such as pork chops, pork sausage, bacon, pork steak, locally made cheese, and locally grown eggs. 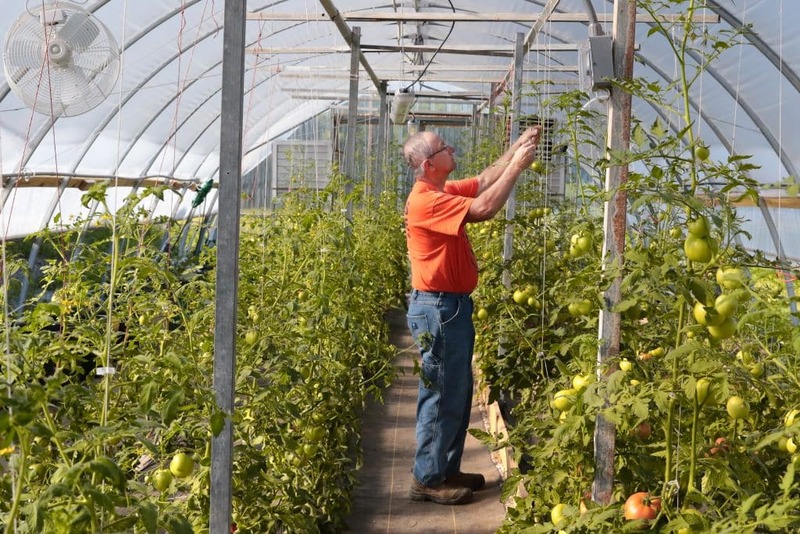 In the summer, the produce and fruits available are tomatoes, potatoes, sweet corn, green beans, bell peppers, carrots, cucumbers, swiss chard, kale, lettuce, onions, zucchini, squash, watermelon, cantaloupe, apples, peaches, and strawberries. How many different types of produce do you grow? We grow about 15 different kinds of produce. What makes honey different colors? 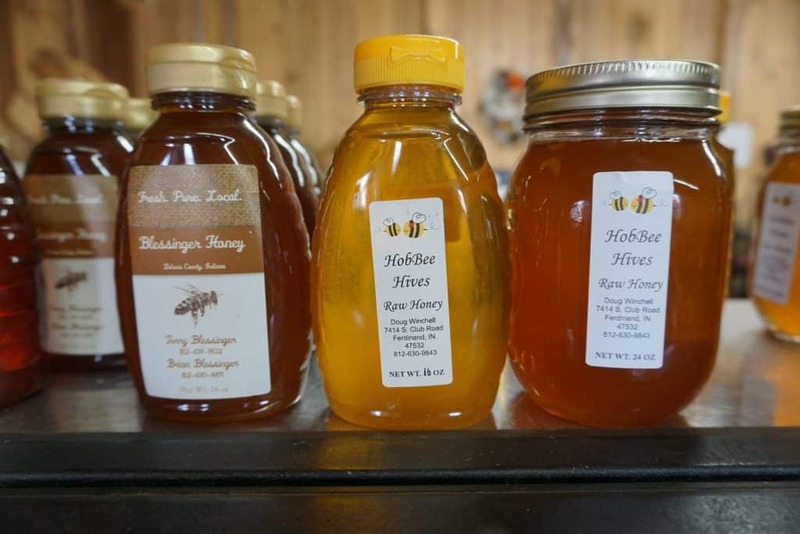 Honey is different colors because of what pollen the bees take back to the hive and which plants they have been on; it gives a different flavor to the honey. So, there is stronger honey and sweeter honey because of the different plants they have visited. Why do you farm? And what is your favorite thing to grow? I farm because I like to see the betterment of the community and I hope in some small way I am helping do that. Our favorite thing to grow at Pumpkins and More is pumpkins. It is a fulfilling thing to see them grow and there are so many different colors and sizes and types of pumpkins, it is a fun thing to see. What produce would be good to bring camping? Best produce and easiest to fix would be watermelon and sweet corn! What is your favorite recipe for tomatoes? Chili! I love fresh tomatoes in chili. It gives the chili a great taste. Shopping at a farmers’ market is a great way to meet local farmers and get fresh, flavorful produce. Ask Bill any questions you have, he would love to answer them for you!